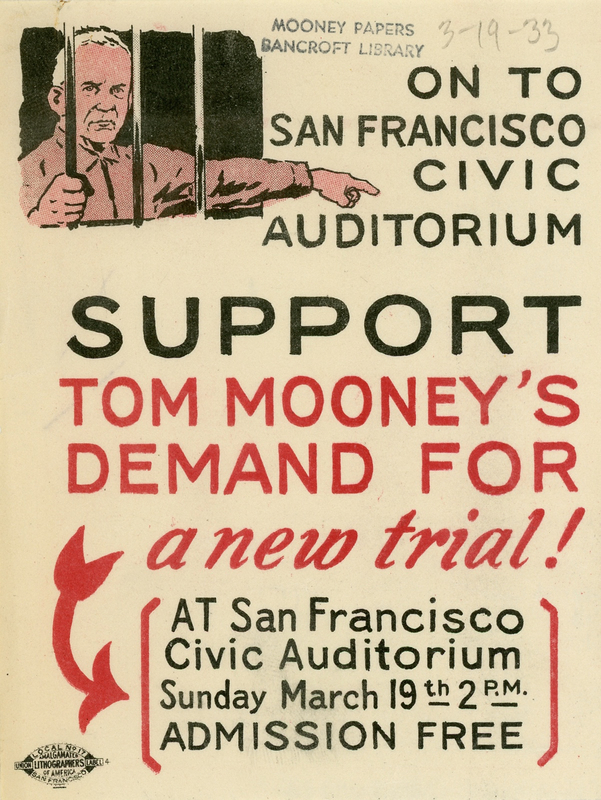 Support Tom Mooney's Demand For A New Trial! Sticker is stamped "Mooney Papers, Bancroft Library," though item was purchased legitimately from Bolerium Books, San Francisco, in 2014. The date "3-19-33" is noted in pencil on the sticker.